MOLO Hack: Packed Lunch Perfection! 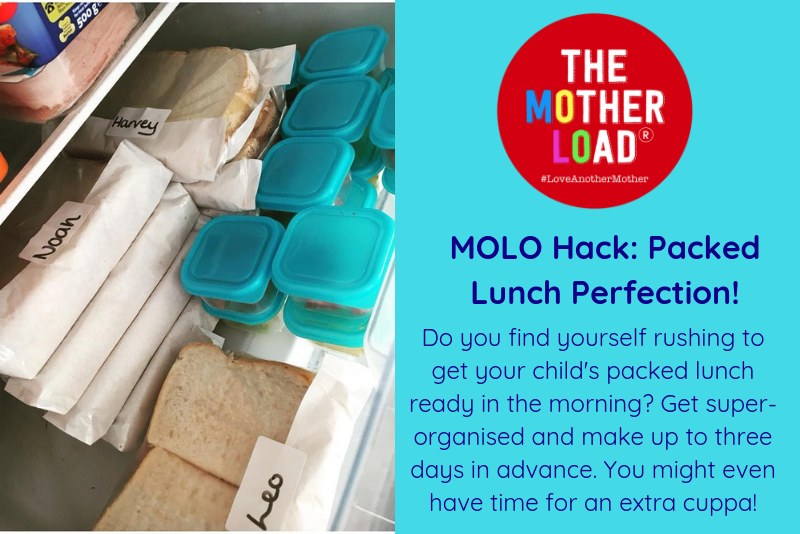 If you’ve ever tried to butter a sandwich at 8.40am whilst scrabbling around for some appropriately healthy snacks for your child’s lunchbox, you need this excellent MOLO hack in your life! 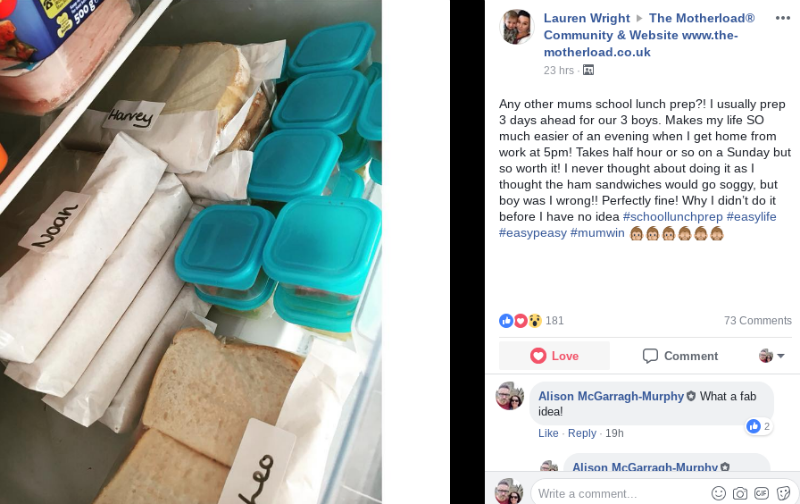 Lauren Wright ROCKED OUR WORLD with the revelation that she organises three days worth of packed lunches at a time to save her having those last minute panics. And guess what? The sandwiches aren’t even soggy! She makes simple ham sandwiches, bags them up and labels the bags for her kids. Then puts portions of fruit and snacks in small tubs and the job’s done! Just a case of putting them in lunch boxes on the morning. Genius! Why didn’t we think of this? Lauren revealed that the bags were sweet bags from eBay and that she puts fruit, veg, cocktail sausages and grated cheese in the little containers. We weren’t the only ones to be impressed! Genevieve goes one step further: I made up and froze sandwiches for the week and will defrost them in the fridge the night before. Last week before payday, so making sure we have enough to feed them for the week. We are in awe of your organisations skills – thanks for sharing Lauren!